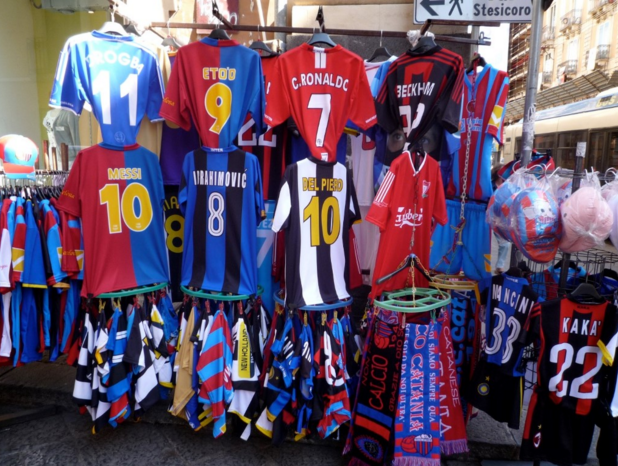 As many sports-lovers know, there is more to a custom jersey than meets the eye. The colors, design, and mascot of a team represent so much more. Many times professional sports teams have a mascot that represents a piece of history of their town. Universities have mascots that do this very same thing, and the custom jersey is the face of any sports team or franchise because it is what the fans see constantly on the field. Designing a quality custom jersey, down to the very logo and color scheme, is one of the most essential parts of designing a uniform. For example, the Oakland Raiders have donned their silver and black for decades, and the color scheme and jersey style do an excellent job of portraying the image the team is trying to send forth. This is why for custom t-shirts and sports jerseys it is crucial to have a designer with an in-depth knowledge of screen printing. These principles don’t just hold true for the jerseys of a sports team. Corporate t-shirts and Custom t-Shirts are just as important at representing what a company or business is trying to portray to the world. Even colors can say a thousand words. For example, red is viewed as a more aggressive color, while blue and green are more peaceful. Not everyone considers all the ramifications of designing a custom jersey or custom t-shirt a certain way. While success on the field may be the most important thing for a team, how they look while doing it is equally as important for marketing and business purposes. A businessman wouldn’t show up to work not dressed for success and looking his best. It is no different with the jerseys for a sports team, or even the T-Shirts of a corporate getaway. How they present themselves is one of the most important factors in being a salesman, it reflects their commitment to excellence and success, and the same bodes true for the design of a custom jersey. For jerseys, custom t-shirts, and other screen printing needs in Boca Raton and Palm Beach, get in touch with Epic Promos today at 561-757-5479!